The fun can be found literally on every turn. 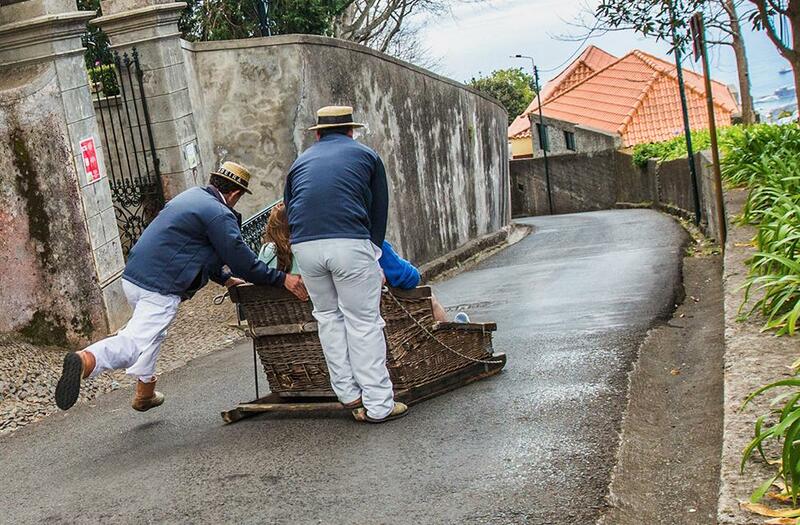 If you go up the hill, you can see one of Funchal’s most famous attractions, the traditional and very typical “carros de cesto” (toboggans). 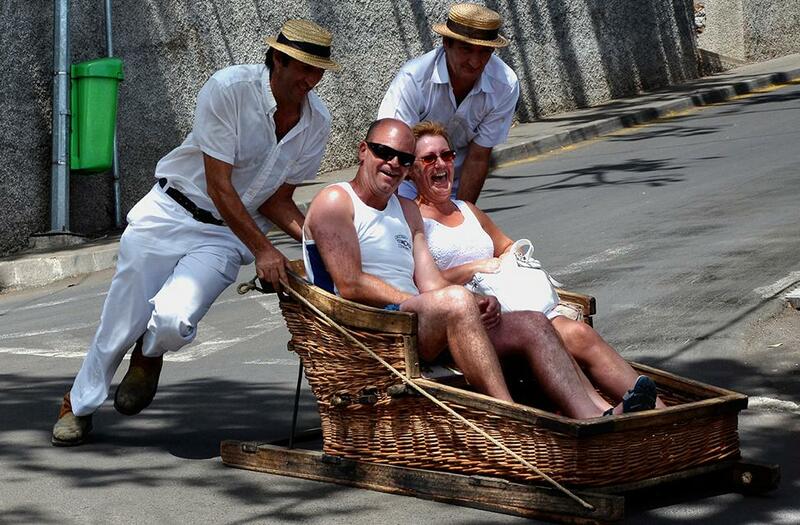 These cars are produced with wicker and wood and have two to three seats. They are led and controlled by two drivers, dressed in white and with a straw hat on their heads.The drivers, with great skill and expertise, use thick rubber soles on their boots as brakes during an exhilarating trip of pure adrenaline and emotion. The trip lasts about 2 km and takes around 10 minutes, providing moments of pure emotion.